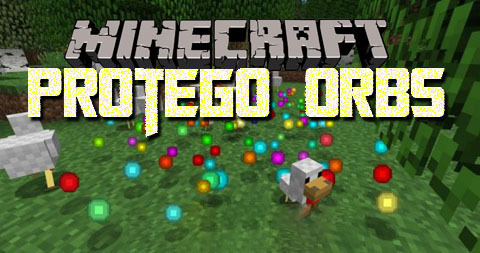 Crystal Orb: The Crystal Orb is the base item in this mod. When used it will warp the player back to the position of their bed or to the map spawn point if a bed position has not yet been set. The crystal orb is fragile and if used in the nether it will crack and turn into a Cracked Crystal Orb or if it is used in the end it will shatter and turn into a Crushed Crystal Orb. The crystal orb has 14 uses but this can be changed in the config. The Cracked Crystal Orb is the second form of the Crystal Orb and will warp the player to the nether portal if they are in the nether. The crystal may also create a nether portal in the nether near you or create a nether portal relative to your position on the surface. If a cracked or is used on the surface or in the end it will become unstable and cause an explosion! The Crushed Crystal Orb is the third form of the Crystal Orb and will warp players out of the end on use. This orb is highly unstable and may spawn you high above the ground or send you into the void. As of now the crystal orbs will have no effect if you are in a modded dimension.